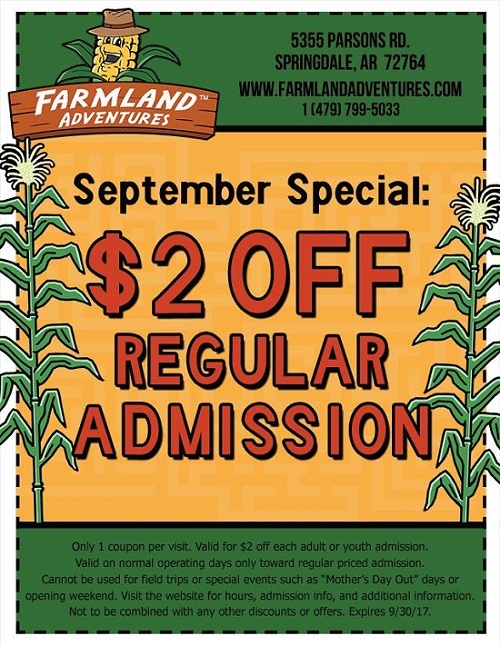 HomeFriends of MotherlodeNorthwest Arkansas Fall fun at Farmland Adventures + a coupon! 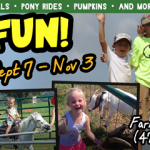 Northwest Arkansas Fall fun at Farmland Adventures + a coupon! Mamas have been asking right and left where they can pick pumpkins and have fun with their kids this fall in Northwest Arkansas. We’ve been pointing them to our Fall Fun Guide to NWA, which is sponsored by Farmland Adventures and full of ideas for things to do with your family over the next few months. If you’re not familiar with Farmland Adventures, you really should add it to your family’s to-do list this fall. Not only can you pick pumpkins there, but you can also enjoy their HUGE corn maze which has a different theme each year. This year’s theme is Knights & Castles. Here’s a coupon that’s good to use for the rest of September. Just print it off or show them on your phone: Farmland opened for the season earlier this month and runs through Nov. 4. In addition to the 9-acre Giant Corn Maze and pumpkin patch, there are also pony rides, farm animals, pig races, a kids play area, group outings or birthday parties. Farmland also has nighttime adventures. Flashlight Nights are every Friday & Saturday night during the fall season. This is where you can try the maze in the dark for a different twist. But be sure to bring a flashlight in case you “get lost” or flashlights are also available for purchase. 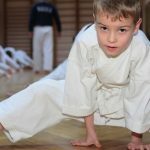 Saturdays: 9 a.m.- 9:30 p.m. 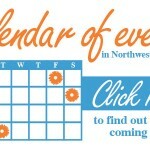 Visits can be scheduled at other times during the week by appointment only for groups of 30 or more. FYI, the last ticket is sold each night at 8:30 p.m. (one hour before farm closing). Click here for more information about Farmland Adventures! 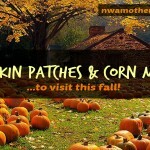 Guide: Corn mazes and pumpkin patches to visit in Northwest Arkansas! 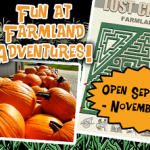 Farmland Adventures corn maze, pumpkin patch opens Friday!